If a church wedding is not for you but a civil ceremony seems a little impersonal then a celebrant led wedding may be the answer. As an independent celebrant I am not restricted by licensed venues or legal terms, you and your partner are different from every other couple, so why would your ceremony be the same? If you want to tie the knot at the beach, lake shore, in your garden, favourite pub, a castle, a festival or a mountain top, you can. Once you have the land owners permission your imagination is the only limit. You can wear traditional wedding attire, flower crowns and fairy wings, your Hogwarts robes (I particularly like this idea!) Or full on Goth gorgeousness. It can be any time and any day – It’s your wedding ceremony and it can be anything you want it to be! Your cultural traditions can be honoured. You can choose music, songs, poems, readings, prayers and blessings. I also offer rituals such as hand fasting, ring blessing and planting ceremonies. You can write your own vows or I can help you create something that reflects your feelings. Your ceremony will be fabulous, unique, fun, sincere, deeply personal and full of love and laughter. I only take one booking a day, so there is no rush, the day is yours and you have my full attention. If you would like to book an initial meeting (free of charge) or have any questions please do get in touch. 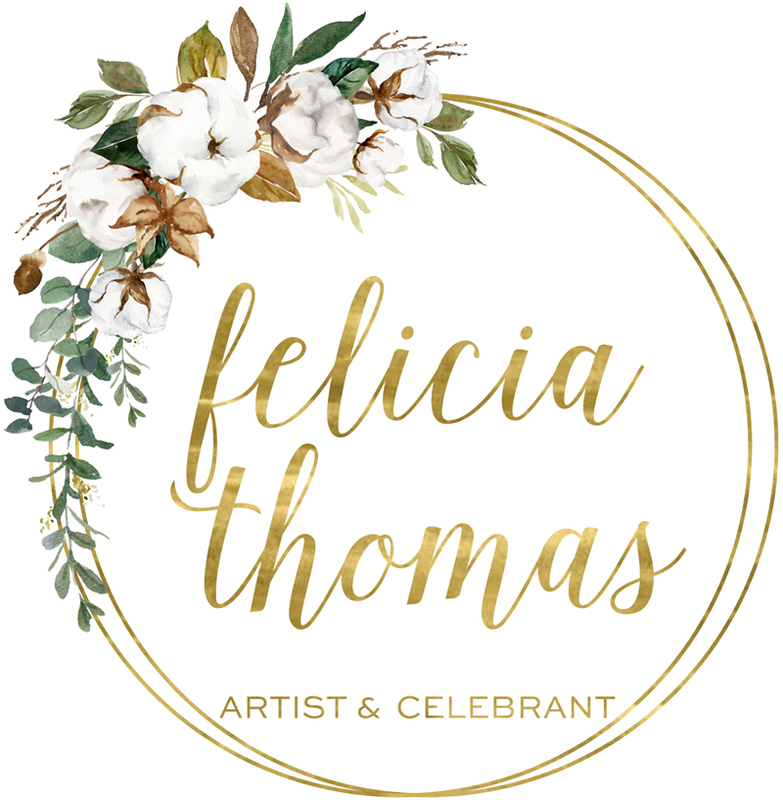 You can email me at felicia@feliciathomas.ie or call me on 00 +353 (0)87 644 0320. Skype chats are available too if it’s more convenient.